For nearly two decades, Central Salt has thrived on referral and repeat business because of our commitment to customers like you. From those who contract with us each year, we hear how much our excellent trucker selection, technical sales support and extended depot hours help them serve their clients. At Central Salt, we treat every product request with respect. If you drive a snowplow, manage property, distribute solid and liquid deicing and dust control chemicals, or handle livestock, we assure you that your order will not be lost in a snowstorm. This responsiveness may be of greatest value to those who make a living in ice and snow removal - because as we all know, the weather won't wait. Central Salt started in 1991 with the purchase of Lyons Mine in Lyons, Kansas. Since then, we've expanded our operations with Louisiana rock salt throughout the Midwest. And at every one of our strategically located depots, you can count on personalized, responsive service day or night. 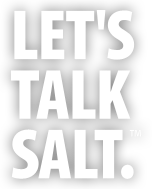 Take a look at the Central Salt Products page to discover more about our ability to deliver solid and liquid deiciers / agricultural salts and dust control products. You can also learn more about our superior magnesium chloride and calcium chloride products and blends, as well as non-chloride snow, ice and dust control formulations including our Mega Melt™ Product Line; Halite Crystals, ProSlicer™, SnowSlicer™ and IceBlaster. For more information about Central Salt's operating regions, see Locations. We're ready to serve you.